Keep your dogs nice and warm this winter with these safety tips. When the temperature drops below 20 degrees Fahrenheit, it’s best to keep all animals indoors except when exercising or relieving themselves. “Outdoor” dogs should have a dry, comfortable, draft-free doghouse large enough to allow the dog to sit and lie down, but small enough to hold in his body heat. The floor should be raised a few inches off the ground and covered with cedar shavings or straw. Pet stores carry safe heated floor mats and non-electric warm bedding. The doorway should be covered with waterproof burlap or heavy plastic. Pets require more calories in lower temperatures because exercise is more strenuous and higher fuel intake helps your pet to maintain body temperature. Pets must have fresh water at all times. Check the water bowl regularly to ensure it’s full and unfrozen. 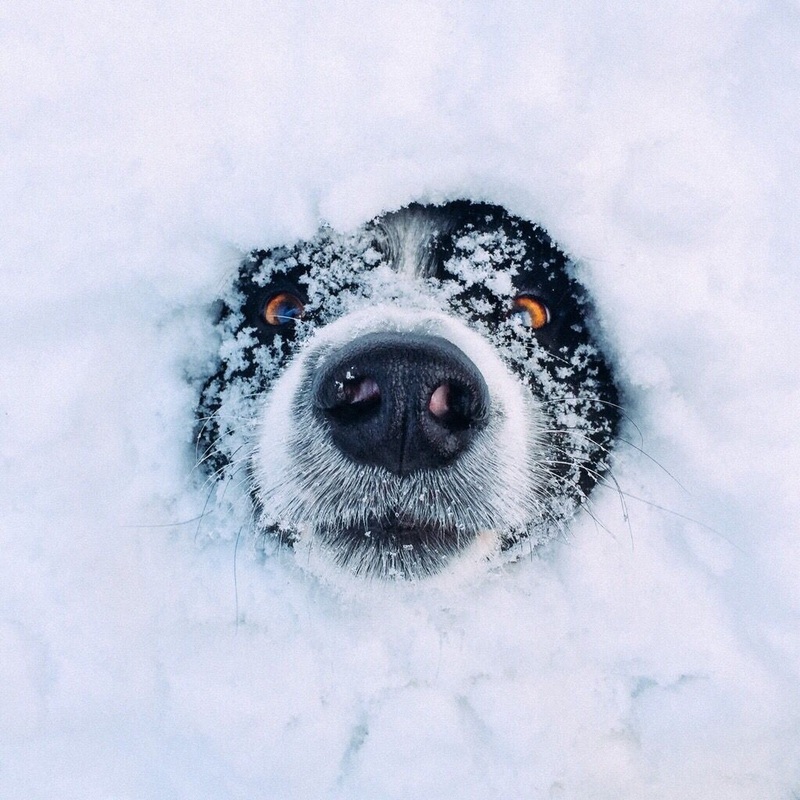 Use a tip-proof bowl to keep Fido’s paws from freezing. Never use a metal water bowl— the tongue will stick to wet metal, and injury will result. Use an old towel to wipe off paws when your dog comes inside to prevent frostbite. If your dog’s paws come in contact with salt and de-icing chemicals during a walk, rinse the feet off and dry thoroughly once you’re back inside.